The disillusionment was practically palpable. 3D was supposed to be the saving grace of a supposedly dying category, and drive a new level of engagement and involvement with media content. Alas, it was not to be, and 3D TVs and movies remain little more than a footnote in entertainment history. Not surprisingly, many people gave up on 3D overall as a result of this market failure, viewing the technology as little more than a gimmick. However, we’re on the verge of a new type of 3D: one that serves as the baseline for augmented reality experiences and that, I believe, will finally deliver on the promise of what many people felt 3D could potentially offer. The key difference is that, instead of trying to force a 3D world onto a 2D viewing plane, the next generation 3D enables the viewing of 3D objects in our naturally 3D world. Specifically, I’m referring to the combination of 3D cameras that can see and “understand” objects in the real world as being three-dimensional, along with 3D graphics that can be rendered and overlaid on this real-world view in a natural (and compelling) way. In other words, it’s a combination of 3D input and output, instead of just viewing an artificially rendered 3D output. While that difference may sound somewhat subtle in theory, in practice, it’s enormous. And, it’s at the very heart of what augmented reality is all about. From the simple, but ongoing, popularity of Pokemon Go, through the first Google Tango-capable phone (Lenovo’s Phab 2 Pro), into notebooks equipped with 3D cameras, and ultimately leading to the hotly rumored next generation iPhone (whether that turns out to be iPhone 8 or 10 or something completely different remains to be seen), integrating 3D depth cameras with high-quality digital graphics into a seamless augmented reality experience is clearly the future of personal computing. Integrating 3D depth cameras with high-quality digital graphics into a seamless augmented reality experience is clearly the future of personal computing. The ability to have objects, data and, ultimately, intelligence injected into our literal view of the world is one of the most intellectually and physically compelling examples of how computing can improve our lives that has popped up in some time. Yet, that’s exactly what this new version of augmented 3D reality can bring. 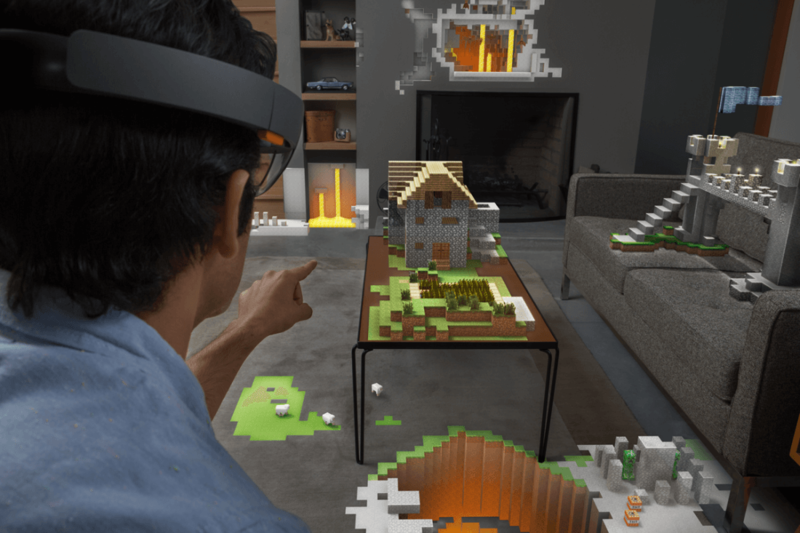 Of course, arguably, Microsoft HoloLens was the first commercially available product to deliver on this vision. To this day, for those who have been fortunate enough to experience it, the technology, capabilities and opportunities that HoloLens enables are truly awe-inspiring. If Magic Leap moves its rumored AR headset beyond vaporware/fake demoware into a real product, then perhaps it too will demonstrate the undeniably compelling technological vision that augmented reality represents. The key point, however, is that the integration of 3D digital objects into our 3D world is an incredibly powerful combination that will bring computing overall, and smartphones in particular, to a new level of capability, usefulness, and, well, just plain coolness. It will also drive the creation of the first significant new product category that the tech world has seen in some time—augmented reality headsets. To be fair, initial shipment numbers for these AR headsets will likely be very small, due to costs, bulky sizes and other limitations, but the degree of unique usefulness that they will offer, will eventually make them a mainstream item. The key technology that will enable this to happen are depth cameras. Intel was quick to recognize their importance and built a line of RealSense cameras that were initially designed for notebooks to do facial recognition several years back. With Tango, Google brought these types of cameras to smartphones, and as mentioned, Apple is rumored to be bringing these to the next generation iPhone in order to make their first stab at augmented reality. The experience requires much more than just hardware, however, and that’s where the prospect of Apple doing some of their user interface (UI) software magic with depth cameras and AR could prove to be very interesting. The concept of 3D has been an exciting one that the tech industry has arguably been chasing since the first 3D movies of the 1950s. However, only with the current and future iterations of this technology tightly woven into the enablement of augmented reality, will the industry be able to bring the kind of impact that many always hoped 3D could have.